It's easier than ever to save cash with Bayarque vacation packages on Expedia. You'll have more time to arrange the fun stuff — and more spending money! Receive savings up to C$590* when you book a package deal on Expedia. With more than 400 partner airlines and 321,000 properties worldwide, our comprehensive database can help get you where you need to be. Still undecided? There are no hidden fees from us if you change your mind for almost any reservation. There's no limit to the number of awesome things you can do when you're in a new place. So why not get your trip to Bayarque off to a sensational start by perusing some of our top tips? After all – out there starts here! Would you like to add some deeper meaning to your trip? Make the trip to Chapel of Las Menas. No matter your spiritual beliefs, it's a great place to observe and learn about the local faith. There's a fabulous range of things to keep you busy in and around this destination. Traipse through the history-filled chambers, halls and corridors of Seron Castle. This grand structure offers an informative day out for the entire family. Still have some time on your hands? If you’re looking for some spiritual enlightenment, drop by Church of the Annunciation. You never know, you may even discover the answers to one or two of life's most important questions! Expedia currently doesn't have any property listings for Bayarque. However, you'll come across a few places to stay just 3 miles (5 km) away in Sierro. The Picachico and Reul Alto Cortijos Rurales are among the most popular options in Sierro. Nobody likes hanging around at the airport. But it's a small price to pay when you think about the adventure that's in store! 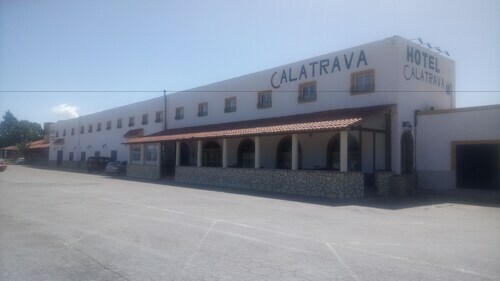 Positioned 35 miles (56 km) south of Bayarque, Almeria Airport (LEI) is the closest terminal. *Savings based on all vacation package bookings with Flight + Hotel on Expedia.ca from January through December 2017, as compared to price of the same components booked separately. Savings will vary based on origin/destination, length of trip, stay dates and selected travel supplier(s). Savings not available on all packages. 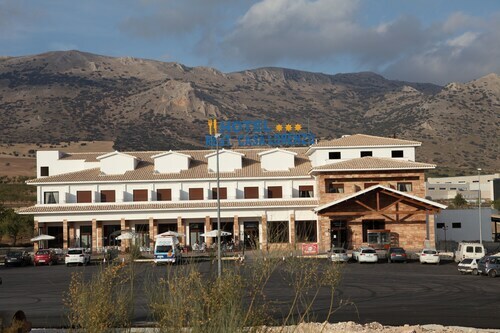 Situated in Tabernas, this hotel is 2.6 mi (4.2 km) from Almeria Circuit and within 12 mi (20 km) of Oasys MiniHollywood and Western Leone. Sorbas Caves and Texas Hollywood are also within 16 mi (25 km). 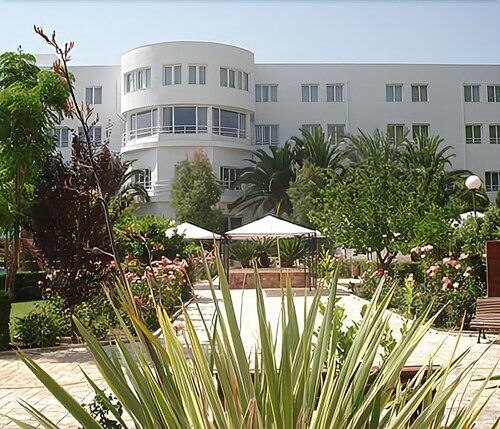 Situated in Armuna de Almanzora, this hotel is within 9 mi (15 km) of Church of the Annunciation, Seron Castle, and Bodega de Seron. Casa Ibanez Museum and Church of San Sebastian are also within 9 mi (15 km). 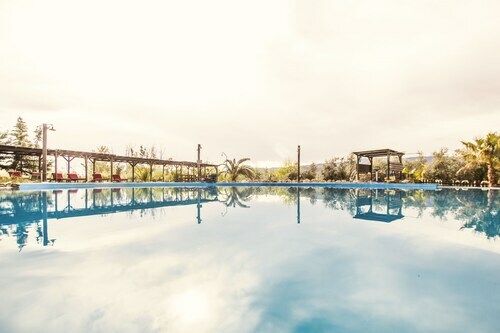 Situated in Chirivel, this hotel is 0.6 mi (1 km) from Plaza de San Antonio and within 25 mi (40 km) of Cueva de los Letreros and Velez Blanco Castle. Caños de Caravaca Fountain and Route Picacho Trailhead are also within 25 mi (40 km). Situated in Olula Del Rio, this hotel is within 1 mi (2 km) of Church of San Sebastian and Church of the Assumption. Casa Ibanez Museum and Interpretation Centre Macael are also within 3 mi (5 km). Situated in Seron, this country house is 2.1 mi (3.4 km) from Seron Castle and 2.1 mi (3.4 km) from Church of the Annunciation. Chapel of Las Menas and Bodega de Seron are also within 6 mi (10 km). 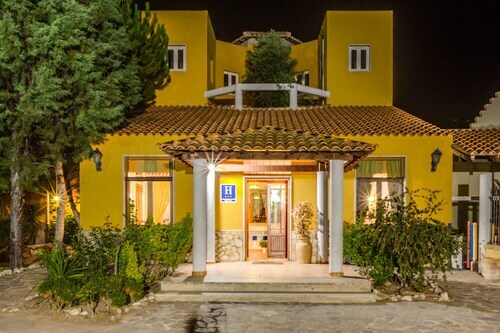 Located in the heart of Uleila del Campo, this pension is within 16 mi (25 km) of Sorbas Caves, Pita Escuela, and Almeria Circuit. Oasys MiniHollywood and Cabo de Gata-Níjar Natural Park are also within 25 mi (40 km). 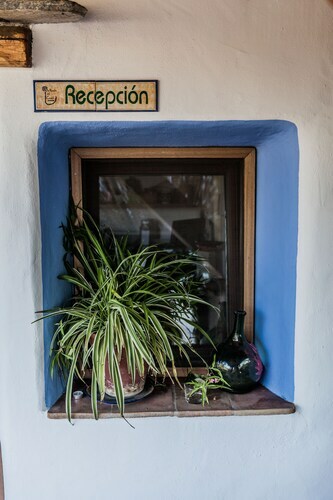 Situated in Tabernas, this country house is 2.6 mi (4.1 km) from Castillo de Tabernas and within 9 mi (15 km) of Oasys MiniHollywood and Almeria Circuit. Western Leone and Texas Hollywood are also within 9 mi (15 km). 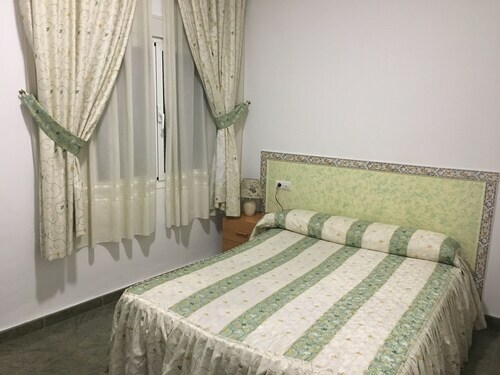 Situated in Tabernas, this pension is 2.6 mi (4.2 km) from Almeria Circuit and within 12 mi (20 km) of Oasys MiniHollywood and Western Leone. Sorbas Caves and Texas Hollywood are also within 16 mi (25 km). Mon., 26 Aug. - Sun., 8 Sep.
Fri., 31 May - Mon., 17 Jun. Fri., 1 Nov. - Fri., 15 Nov.